Having well-designed and constructed storage facility will save you time and money. The key is good planning and working with the right people. To help guide your decision-making see A farmer's guide to building a new effluent storage pond. It covers everything from planning and design to post-construction. Below you will find detail on some areas covered by the guide. For more information about above ground tanks see A farmer’s guide to building a new effluent storage pond. compliant with regional and district council and Building Act requirements. Liners can be formed from compacted clay, concrete or specifically manufactured materials such as polyethylene (PE), polypropylene (PP), or rubber (EPDM). To choose the right liner for you see the options below. Download the Dairy Effluent Storage Calculator (DESC) to determine storage needs. It contains a database of soil types and 30 years of daily rainfall records for many sites throughout New Zealand. DairyNZ has developed the Effluent Storage: Working Volume Calculator to calculate the dimensions and working volume of your effluent pond or tank, which is also useful for existing ponds or tanks. The video playlist below shows the various aspects of designing and constructing an effluent pond including site selection, soil testing at the lab, and the construction process. A pond safety video is also included. IPENZ Practice Note 21 - Farm Dairy Effluent Pond Design and Construction has a strong engineering focus and covers design and construction principles, clay liners for ponds, geomembrane (synthetic liner) selection and details about ponds and tanks constructed on peat. Constructing effluent storage ponds in Hauraki marine clay may require different construction techniques. This chapter describes the engineering process. The case study shows the first pond to be built using this method. How to plan, design and work with consultants and contractors. Increasingly, farmers are being asked by regional councils and/or milk supply companies to provide some proof or assurance that their earthen (clay lined) effluent storage pond is not leaking. This technical note gives farmers a brief outline of the options available for testing pond leakage. Download here. 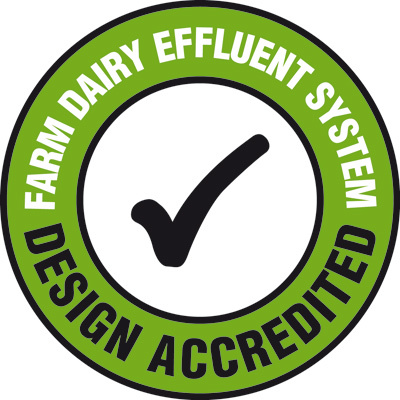 Does your effluent system tick all the boxes? 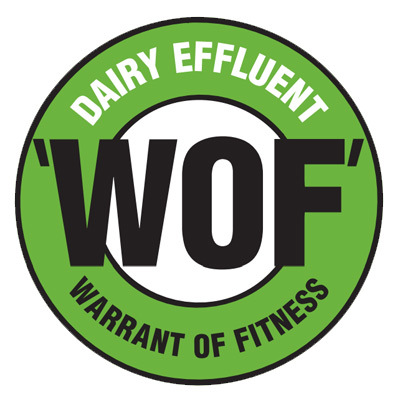 Find out with the Dairy Effluent Warrant of Fitness. Do it once and do it right with an accredited system design company! • Hydraulic design of irrigation systems. How much effluent storage do you need? Find out with the Dairy Effluent Storage Calculator (DESC).